We are an inviting, family owned Aveda Concept Salon in our 13th year of business. Pure is a full service Aveda Concept Salon that offers full hair, styling, esthetician, and facial services. Pure is also an exclusive carrier of Aveda products; including Aveda Hair Color. We look forward to providing you with an exceptional service. Aveda, The Art and Science of Pure Flower and Plant Essences, was founded in 1978 with the goal of providing beauty industry professionals with high performance, botanically based products that would be better for service providers and their guests, as well as for the planet. All hair services include a consultation, shampoo and conditioning, stress relieving neck and shoulder massage, and a finishing touch. To keep your haircut fresh, stop by for a complimentary bang and neck trim between visits. Our innovative Pure Salon Team will help you create a look through cut and color to compliment your features and lifestyle. 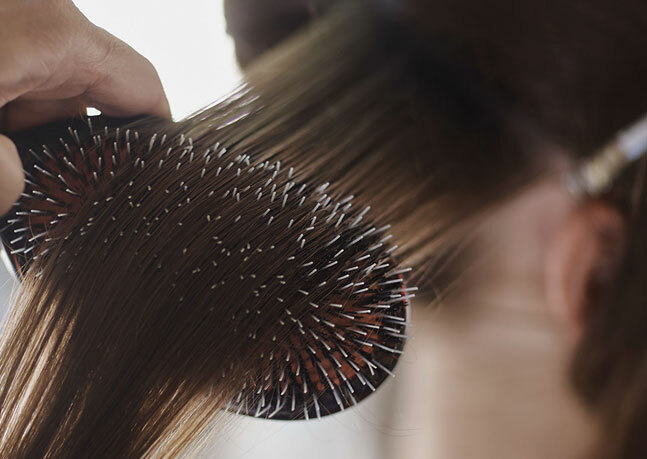 Much like our Hair Services we use only eco-friendly Aveda products during our spa treatments. This includes cleansers and hydrators infused with leaf, stem, petal, and root. Unlike synthetic products, our plant-derived ingredients help rebalance your skin, promoting clarity and radiance. With the help of our Tulasara line, you can achieve firm, brightened skin.